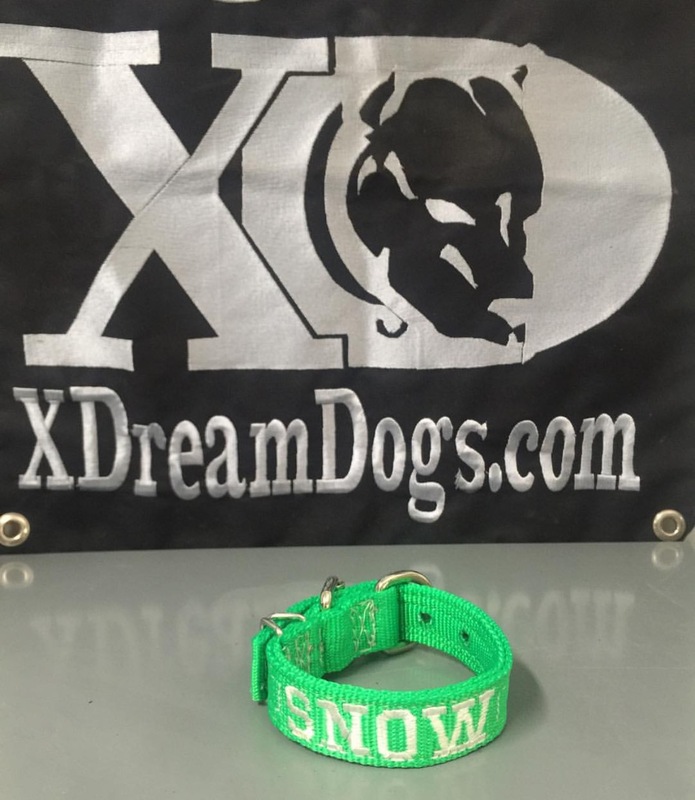 1″ Nylon Collars Custom Embroidered, all of the collars will have the embroidery done in capital letters. 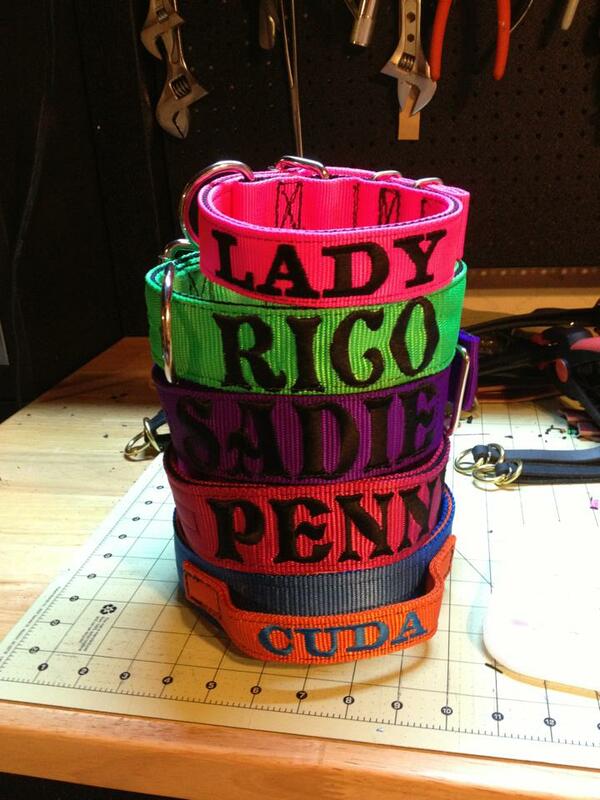 You can choose Block font “Lady” Collar or you can choose Stylist font “Rico”, “Sadie”, and “Penny” Collars. 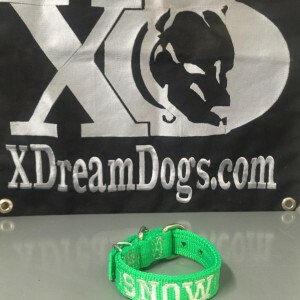 XDream Dogs 1″ Nylon Embroidered Custom Collars are made to be adjusted 4″ longer than the first hole; if the first hole you choose is at 10″, it has 4 more holes an inch apart so that it can fit neck sizes 10″-14″ (holes at 10″, 11″, 12″, 13″ and 14″.). Please make a selection that would best fit your dog. Please choose each color/pattern you would like for your collar Click here to view the Colors and Patterns. These are Quality Products for Quality Dogs. Please contact us if you have any questions. Please select the embroidered color below you would like your item to be embroidered in. Black is no charge, all other colors there is a $3.00 charge for changing out the color. Contrasting colors look really good when making a selection. Please select the stitching color below you would like your item to be stitched in. Black is no charge, all other colors there is a $3.00 charge for changing out the stitching. Contrasting colors look really good when making a selection.